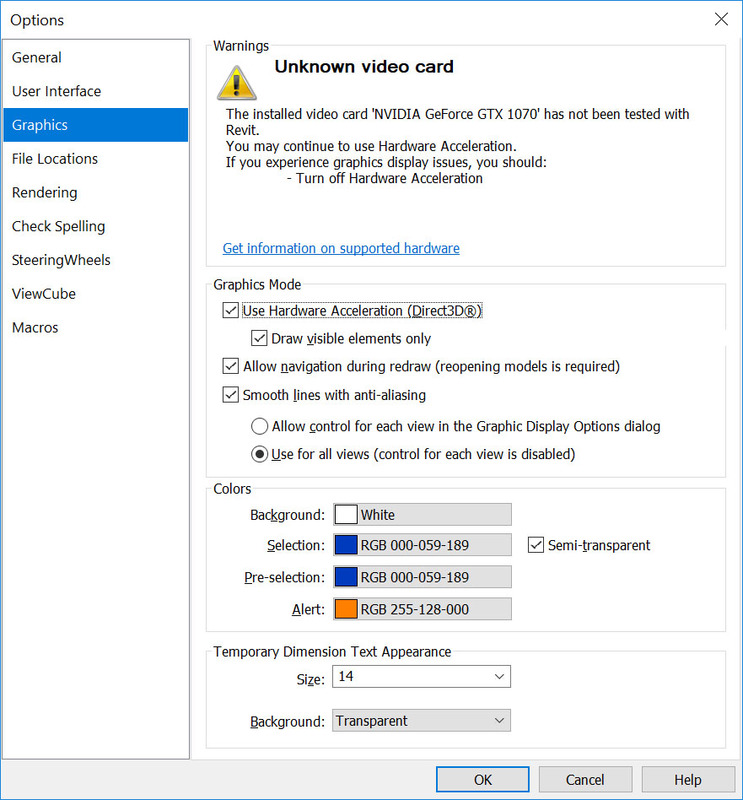 Seems like a graphic card issue, try to turn off Hardware accelaration and check. I tried that but it didn't work. Thanks for the input. It is probably the graphics card. I am running a 'NVIDIA GeForce GTX 745'. Like I said it doesn't affect my workflow, it's just annoying. What happens when you zoom in? What about when you togle anti-aliasing mdode? The outline shows whether I have thin line view on or off. That's how those objects are configured in "object styles"
Check your NVIDIA Control panel to make sure that there wasn’t a 3D setup done on your program (Revit). Right click desktop, Nvidia Control Panel, select "3D Settings" then "Manage 3D Settings" then "Program settings" Tab. If Revit is not listed nothing is being controlled by the control panel. If Revit is listed, but no settings are in BOLD then nothing was changed from default. You could try setting antialiasing at a higher rate. If Revit is listed, and some settings are in BOLD then something has been modified from default, and you should try resetting those - BUT MAKE NOTES of what your changing in case you want to set it back. Make sure Smooth Lines with Anti-Aliasing is checked (It looks like it’s not doing it). Check "Use for all views (Control for each view is disabled)" if it is not. This will force smooth lines with antialiasing on. I've attached what mine looks like for reference. How do i change the section box colour? Can you convert model lines to detail lines?